Chimichurri makes a great topping! is available on Amazon and iTunes. There's nothing like fresh herbs to liven up a dish, especially when they are combined with jalapeño! This quick and easy chimichurri sauce combines fresh cilantro and parsley, both bringing with them their unique health benefits. Cilantro is known for it's ability to rid the body of heavy metals, such as mercury. And parsley is a vitamin and mineral powerhouse packed with vitamins A, C, K and folate and important minerals such as iron, potassium, calcium, magnesium and manganese. Most chimichurri recipes have more oil. I've cut the oil with some veggie broth and used more fresh citrus and wine vinegar. For the oils I use omega-3 rich, cold-pressed hemp oil and a good quality, heart-healthy, extra virgin olive oil. Although chimichurri sauce originated in Argentina as a topping for grilled meat, I like to use it on top of baked potatoes, pasta, beans, steamed veggies, salads, corn fritters, tacos, burritos, eggs, and just about anything that needs extra flavor and spice. With the food processor running, throw the jalapeño and garlic down the shoot and processes until they are minced. Place the cilantro, parsley, salt, pepper, and oregano into the processor and process until the herbs are chopped. Combine the vinegar, lime or lemon juice, veggie broth, and oils. With the food processor running, pour the mixture slowly down the shoot into the chopped herbs until combined. Do not over process. Place the sauce in a 2-cup container and serve. Vegetarian Zucchini and Corn Pancakes. Per 1 tablespoon serving: 28 calories, 3 g total fat, 0 g saturated fat, 182 mg omega-3 and 838 mg omega-6 fatty acid, 0 mg cholesterol, 1 g carbohydrates, 0 g dietary fiber, and 50 mg sodium. Rheumatoid Arthritis is a painful autoimmune disease. Diet and herbal remedies may give some relief! Rheumatoid arthritis, or RA, is a very painful condition that occurs when your own immune system attacks your joints. This results in swelling and stiffness of the joints. This is not the same as osteoarthritis which is caused by your joints being worn down when you age. Doctors often prescribe painkillers, anti-inflammatory medications, and DMARDs (Disease-modifying anti-rheumatic drugs). All of these drugs can have serious side effects. For example, if you are on DMARDs that work by suppressing your immune system, your immune system would then be weakened and may not be able to effectively fight infections. DMARDs also may hurt blood cells and certain organs such as your liver, lungs, or kidneys. Many scientists have linked many chronic diseases, like heart disease, Alzheimer's, strokes, type 2 diabetes, even cancer, to inflammation. Although no one knows what causes RA, inflammation is once again a culprit that needs to be controlled. Eating an alkaline diet rich in fruits, vegetables, whole grains, beans, omega-3 and other healthy fats, as well as anti-inflammatory spices and teas, can help reduce or prevent inflammatory conditions in your body. See my post on Dr. Andrew Weil's Anti-Inflammatory Diet. Limit or avoid acidic and inflammatory foods such as sugar, packaged foods containing trans fats, white bread or pasta, fried foods, dairy, animal fats, excessive alcohol, and too much omega-6 fatty acids contained in safflower, grapeseed, and sunflower oils. Besides diet, many people suffering from rheumatoid arthritis who do not want to suffer the side effects of potent drugs, can get relief by taking certain herbs and supplements. Healthline recently published a guide that will introduce you to herbs such as Cat's Claw, Celery Seed, and others, that have been used for thousands of years to fight inflammation. The guide points out key vitamins, such as vitamin D, that have been shown to inhibit the development of RA. 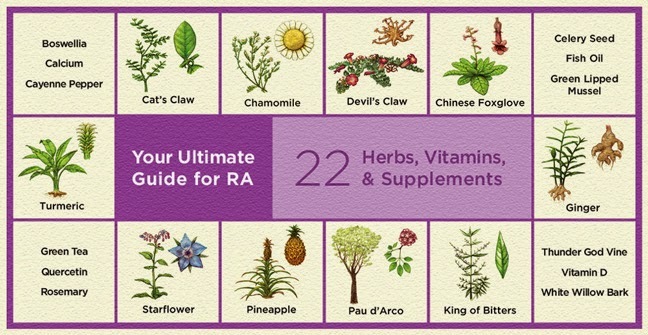 Check out Healthline's The Ultimate Guide to Herbs and Supplements for RA. Make sure you work with your doctor before changing your medications or adding any supplements to your daily regimen. Many supplements can interact with drugs. To check to see if your drugs and herbal supplements have harmful interactions, go to Medscape's Drug Interaction Checker. Have access to fresh grape leaves? Make dolmades! I live in wine country and have a small vineyard with access to literally millions of grape leaves right outside my door. But for some reason I have never used them for cooking. I always go down to the Greek deli near our local post office when I have a craving for dolmades. So I finally took the plunge and tried making dolmades from scratch while the grape leaves are still young and tender. It was a snap! The trick is to pick the leaves in late spring or early summer, before they toughen (and before my husband hedges the top of the vines). 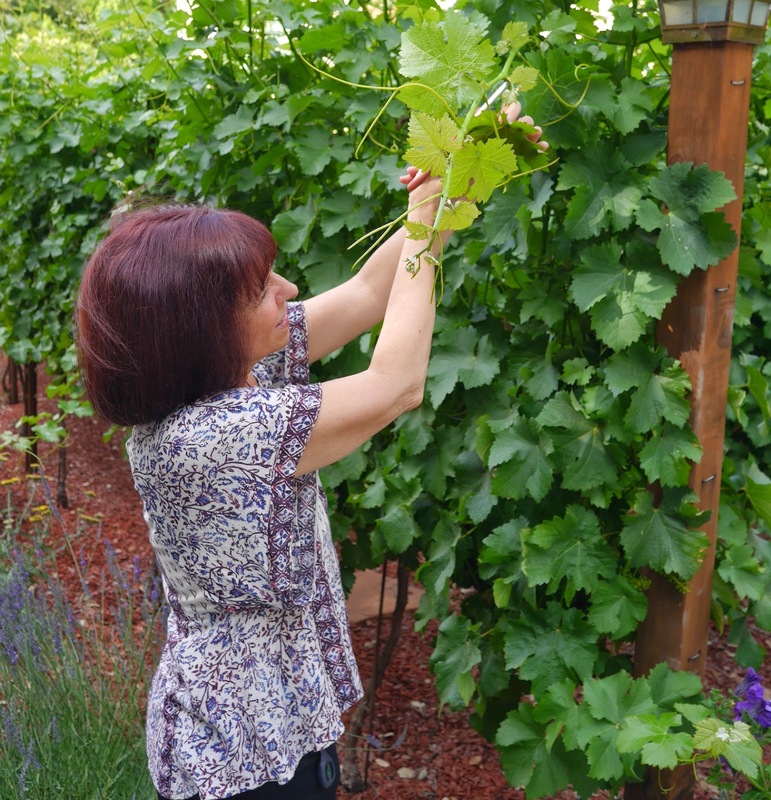 Pick grape leaves that are big enough to hold a filling and roll up and are as close to the top of the vine as possible. Usually that means the 3rd and 4th leaves. Only use organic grape leaves that have not been sprayed with pesticides. plants but you can use leaves from any grape plant. 26 mg of omega-3 fatty acid! I gave up eating pine nuts a few years ago after getting pine mouth. This is a condition which causes everything you eat to taste like metal and originates from eating Chinese sourced pine nuts. So I'm going to try using Mediterranean pine nuts that I bought from Nuts.com. They are pricey but it's worth not getting pine mouth. are grown in Italy, Spain, and Portugal. Requires 9"x13" casserole dish, a 5-quart Dutch oven or pot with lid, and a shallow, wide pan. Dissolve the bouillon cube in a pyrex with 2 1/2 cups of boiling water. Or use 2 1/2 cups of ready-made broth. Set aside. In a 5-quart Dutch oven or large pot, heat 1 tablespoon of the oil over medium heat. Add onions and grated lemon zest and cook until the onions begin to soften, about 5 minutes. Add the rice and pine nuts and stir until coated. Stir in 1 1/2 cups of broth and simmer, tightly covered, until the moisture is absorbed but not over 15 minutes. Set aside the remaining 1 cup of broth. While the rice is cooking, bring a wide, shallow pan of water to a boil. Submerge the grape leaves in the boiling water and let stand for 5 minutes. Drain and set aside. When rice is cooked, add fresh dill, salt, and pepper. Let cool. but fresh dill is far superior. Taste the filling and adjust seasoning. To assemble the dolmades, lay a blanched and dried grape leaf on a flat surface, shiny side down. Place 1 tablespoon of filling near the stem end of the leaf. Fold the stem end of the leaf over the filling. Then fold in both sides towards the filling. Place dolmades seam-side down in a 9"x13" casserole dish. Repeat until you fill the pan. You may have left over filling. Add 1 tablespoon of olive oil and two tablespoons of lemon juice to the pyrex with the remaining cup of broth. Stir well and pour over the dolmades. Tightly cover with foil and bake at 350 degrees F for 30 minutes or until the grape leaves can be easily pierced with a fork. Remove from the oven and let cool with the foil remaining on the casserole dish. Serve at room temperature or store in the refrigerator, covered, until needed. Per serving: 42 calories, 2 g total fat, 0 g saturated fat, 34 mg omega-3 and 505 mg omega-6 fatty acid, 0 mg cholesterol, 1 g protein, 6 g carbohydrates, 1 g dietary fiber, and 89 mg sodium (using a large Rapunzel bouillon cube and 1/2 teaspoons added salt). And Here Come The Zucchini! Baby zucchini are used in this chopped veggie salad. It's funny how excited I get when I harvest my first zucchini and how happy I am at the end of the summer when I pull the plants out for the season. To maintain my joy this year, I've made a promise to myself that I would harvest every zucchini while it is still relatively small. There are several advantages of doing this. First of all, the zucchini and its skin will be tender with few seeds. But most of all, it will keep me from being overwhelmed with the sheer amount of this prolific vegetable. Do Your Zucchini Start to Fruit and then Wither? As prolific as zucchini are, in the beginning of the season you may find that your plants begin to fruit only to wither. If you are having this issue, read last year's post on boy and girl zucchini flowers and how they need to develop before fertilization can take place. Here's a simple chopped salad that uses tender baby zucchini. 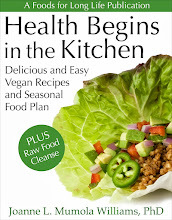 This raw vegan salad is gluten free and less than 100 calories per serving. It is suitable for weight loss and a raw food cleanse. And of course it is a delicious salad to serve anyone during the summer months when these wonderful fresh veggies are in season. Place the zucchini, red bell pepper, corn, red onion, and cilantro in a medium-sized bowl. Make the dressing in a 2-cup container by combining the lime juice, hemp oil, salt, and pepper. Mix until the salt dissolves. Mix the avocado into the dressing and toss gently until well coated. helps prevent it from turning brown. Pour the dressing and avocado over the chopped salad. Toss gently until all the veggies are well coated and serve. Per serving: 98 calories, 6 g total fat, 1 g saturated fat, 0 mg cholesterol, 389 mg omega-3 and 1,887 mg omega-6 fatty acid, 2 g protein, 11 g carbohydrates, 3 g dietary fiber, and 205 mg sodium. Oops, we didn't get to this one in time. This guy was hiding under a big leaf! Use much less oil with Silpat silicon mats. I can't believe I just recently discovered Silpat mats. I've had silicon mats in the past, but they were NOTHING like these. For those of you who haven't tried these yet, Silpat non-stick silicon baking mats are a replacement for parchment and you'll never have to grease a pan again! They are made from the highest quality food grade silicone with an internal fiberglass mesh and together they provide consistent heat distribution so food bakes and browns beautifully. I think they were designed mostly for baking cookies and pastries, but I also love to use them when roasting vegetables. They may seem a bit pricey, but they can be reused up to two to three thousand times! Compare that to the price of parchment, or even olive oil used for greasing and they are a bargain. I don't know how I ever lived without these mats. Nothing sticks to them and cleanup is a breeze! Silpat mats are perfect for baking cookies and scones. These sticky almond cookies slid right off after baking! 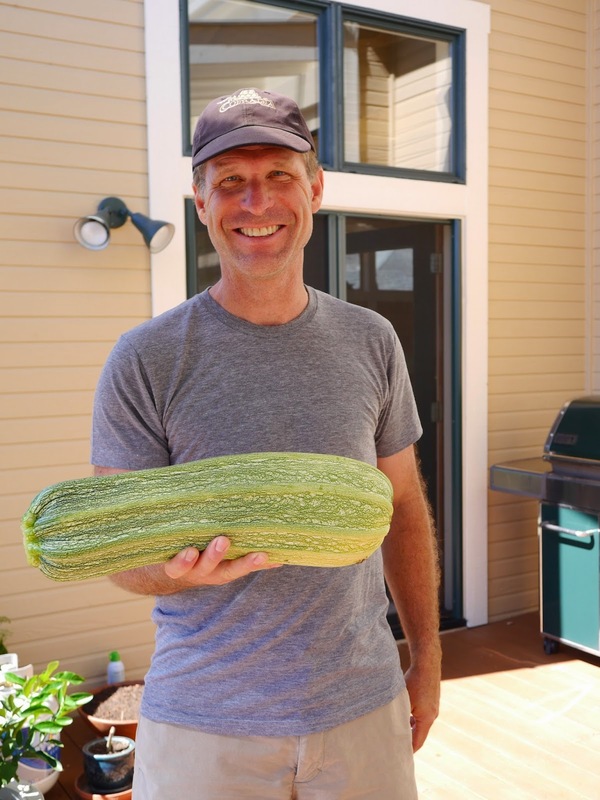 I bought mine at our local Sebastopol kitchen supply store, Cultivate Home, but you can get them for a very good price on Amazon. They come in various sizes to fit half sheet pans, jelly roll pans, even toaster oven pans. I will definitely be filling stockings with these next Christmas (they roll up nicely) so kids, nieces, nephews, and friends, if you read this post and don't already have one - put it on your Amazon wish list! Although those sheets were developed for bakers, they make great liners for roasting veggies. I love roasted new potatoes or sweet potatoes, for example, but they always stick to the pan and are a mess to clean unless you use lots of oil. But when you roast veggies on these silicon sheets, you can use very little oil. Last night I roasted a pound and a half of new potatoes and only used 1 tablespoon of olive oil (I'll try even less next time.) They browned beautifully and didn't stick at all, making cleanup quick and easy. Best of all, each serving was only 108 calories with only 2 grams of fat and zero grams of saturated fat. Clean the potatoes well, removing any blemishes on the skin. Cut in halves or quarters, depending on the size of the potatoes. Place them in a bowl with the rest of the ingredients and toss well until the potatoes are well coated and the spices are evenly distributed. Spread onto a shallow roasting pan lined with a Silpat sheet or on a non-stick roasting pan. Roast for 30 to 40 minutes, turning half way through, until the potatoes are nicely browned and cooked. Per serving: 108 calories, 2 grams total fat, 0 g saturated fat, 30 mg omega-3 and 259 mg omega-6 fatty acids, 0 mg cholesterol, 2.5 g protein, 21 g carbohydrates, 2.5 g dietary fiber, and 201 mg sodium.